An operational military game, set at the outbreak of the Second World War in Europe, as Poland fights against a determined invader. Map players (up to a dozen per side) will act as German and Polish army and corps commanders, with blocks representing regiments. The game will use an existing ruleset used for the recent Czech Mate '38 megagame, which focuses on command and control, as well as the assigning of logistic resources to support the main effort. It is designed to be as intuitive as possible, with little need to check rules once the game is up an running. There will be a pre-game planning exercise on the day, before carrying out operations over a two week period, before the Soviet Union becomes involved. Each game turn will represent 24 hours, each cube represents one regiment. 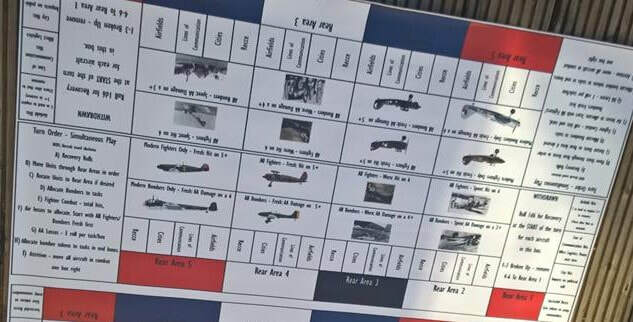 Senior commanders (3-4 per side) also run the air game on the day and whilst the turns run at a fast pace, there are limited opportunities to call breaks to enable teams to discuss strategy. The Control team for this game will be smaller than many other games, but most resolution is done by players and training will be given. If you'd like to try your hand then register your interest. More information to follow, with pictures from the last game can be found here. The game designer will receive a copy of the information in this contact form to enable them to communicate with you regarding the game and your experience, preferences and any requirements you may have. Feel free to ask questions.